We hope you will consider joining one (or more!) of our active, engaging, Christ-centered groups. Mass Lectors and Eucharistic Ministers play an important role in the celebration of Mass. Contact the Parish Office at 603-692-2172 for more information about this special ministry. Join the choir and make friends the “old fashioned” way by meeting people in person! We would love to have you as a friend! Rehearsals are once a week, there are no auditions; you just need to love to sing, love God, and love your neighbor! Contact Chris Sand (Director of Music) at csand1986@gmail.com or Cindi Verrill at cindiverrill@gmail.com for more information. Motherhood is hard. We are here to support and help you with the trials of the modern mom. Join other moms and their kids for monthly vent sessions. No agenda, no sign-ups, just show up with your crew of kiddos. We will welcome you with a big hug and bigger cup of coffee. We get it. Meetings are every other Friday. Contact Amanda (alley.amandal@gmail.com) or Marybeth (mefp.me@gmail.com) for more information. Our mission is to provide warm meals to our parish members facing life challenges. In this simple, tangible way, you will bless a family or individual during a time of need or crisis. The meal you provide will be a blessing to someone, and your gift is so appreciated. Contact Kate (katejohnson728@yahoo.com) or Marybeth (mefp.me@gmail.com) if you would like to participate! The Knights of Columbus Order stays true to its founding principles of charity, unity and fraternity. The Parish Council is a group of elected parishioners charged with making many behind-the-scenes, necessary decisions that are in the parishes’ best interests. There are many expenses associated with running and maintaining a successful parish, which is where the Finance Committee comes in. In conjunction with the Parish Council, they assess the financial state of both parishes and make sound financial decisions, alongside the Pastor, whenever necessary. Sacred Scholars is a group dedicated to the intense study of the Bible as a way to deepen our knowledge of and love for our good and merciful God. For more information, contact Ron at (603) 692-2172. Many of our parishioners are unable to attend Mass due to health restrictions. This ministry is focused solely on providing the Eucharist to those hungry for it but unable to physically come to Mass. The Bereavement Committee aids families during the difficult time after the death of a loved one. By providing a meal after funerals, the Committee hopes to relieve families of one fewer thing to think about and organize, so they can focus on their hearts during this difficult time. Our monthly Parish breakfasts are always a huge hit! It’s open to the public and is a great fundraiser for our church’s many needs. Volunteers cook, hand out breakfast foods, and serve coffee. A few years ago we had a crazy idea to do a Parish Picnic. It was such a success, that it is now a Parish tradition! The Picnic Committee organizes all of the picnic details, from food to pony rides. It’s truly a staple of our Parish life, and a fun, creative committee to partake in! 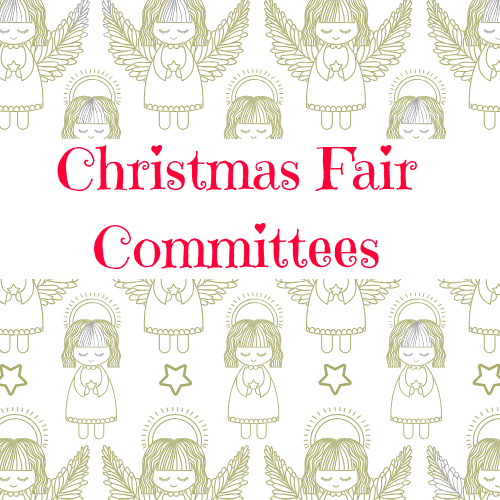 Our annual Christmas Fair is a seacoast tradition! Vendors display their beautiful, handmade items; bakers show off their delicious creations; Granny’s Treasures is the perfect place for those little things you didn’t know you needed; and the Penny Sale is always the star of the show, with many chances to win incredible prizes. Be part of this spectacular showcase! Contact the Parish Office at (603) 692-2172 for ways to get involved. St. Anne's Guild was founded in 1919 by a group of dedicated women in an effort to support St. Mary Parish. Their work still goes on today as many provide care for our Parish. The Guild has a strong membership ranging in age from 19 to 90 and welcome all dedicated persons to join. Service projects include Rosary Maker Ministry and Linger Longer Coffee Hours to promote community, to name a few. Contact Information: Laurie Lambert, President St. Anne's Guild - email lambo2@comcast.net or 603-742-3996. In April 2018, a prayer shawl ministry was formed at St. Ignatius of Loyola and St. Mary Parishes. Using yarns donated from the entire parish community, the ministry brings people together as in older times, to use their God given talents. Praying as they create their shawls, they give a spiritual love and warmth from their hearts to others. Whether a shawl is received in a time of grief, a time of joy, or simply a time of need, the receiver is wrapped in a prayerful, loving embrace. Our next meeting is March 7, 2019. We meet the first Thursday of the month after 9am Mass, at St. Mary’s Parish House 421 Pleasant St, Rollinsford, from 10am - 12pm. Contact Joyce Tibbets for more information 207-698-5558.